Like most Pennsylvanians, I’ve lived here all my life. There’s a lot to love about our city (and region). 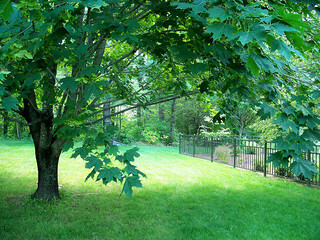 Deciduous trees are high on my list, maybe because I grew up with a 200-year-old maple in my backyard. In the months to come I’m sure I will be sharing more about my Philadelphia favorites. At the same time, I’m not blind to my city’s flaws. There is a lot that we can improve. Note the pronoun there. This is a can-do blog about people who are actively working to support the city. If I draw attention to something I think is lousy or even outrageous, it’s because I think it needs and deserves fixing. I’m not interested in tearing things down for the sake of it. I can be a harsh critic, but in service to a goal that is dear to my heart: a better Philadelphia. Photo credit: Flickr user mmwm. Used with permission under a Creative Commons license.